Creative Movement can be a bit confusing if you haven’t been exposed to it before. 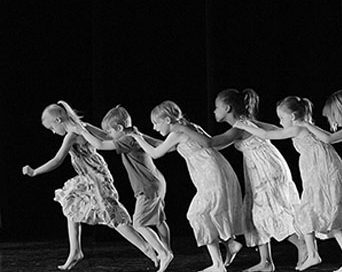 Unlike what most people think of as “dance,” creative movement uses natural movements and human actions to build a child’s comfort and awareness of their body. From there, we introduce the elements of dance, artistic and choreographic concepts, and start to make connections between movement, art, and dance as an art form. Most of our classes for younger kids don’t actually involve learning a routine or traditional dance ‘steps.’ Instead ideas, concepts, rules, and questions will be discussed as a group before starting a creative exploration. Music will be put on and the dancers will be invited to explore in their own, personal way – using the group discussion as a starting point. With continued prompts and questions from the teacher, each student is invited to focus on one, two, or three of the ideas presented. There is no wrong way to explore – there is only encouragement and positive reinforcement as the teacher tries to help the dancers experience something new. It’s this open ended approach to movement, dance, and art that sets our studio apart from others. Below, you find 8 reasons why, we feel, creative movement is so important to young kids, children, and teenagers. Stimulates the Imagination – dancers are encouraged to imagine new ways of moving in their mind. Visual imagery and descriptive words are used to help them connect their imagination to their physical body. Every class requires them to flex their imagination skills so that it becomes second nature. Builds Friendships – friendships blossom like no other when artistic/creative forces are at work! 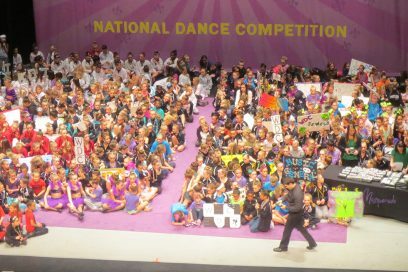 Dancers are given the opportunity to talk, share, and meet new people. And after working with someone creatively, new friendships form very quickly. Maintains a healthy body – moving, dancing, stretching, jumping, leaping – dance is an exercise and activity that can help your child’s body stay fit. Classes often include discussion about the human body, how it moves, and how we can take care of it so it will last a life time. Teaches team work and cooperation – creative movement builds skills needed to work well with others. Creative problems will be presented to the class that, often times, will be solved in groups of 2, 3, or 4. Listening, responding, and sharing are skills that are re-enforced in every class. Teaches creative problem solving – dancers will be encouraged to think beyond the everyday, usual answers. Using their creativity and imagination, as well as their body, dancers will be given creative problems that can be solved in unique and different ways. Learn to think outside the box – emphasis is placed on new, different, and unique ideas that can be generated from rules and questions that we already know. Thinking outside the box becomes second nature to dancers and is a skill they can use and apply to any area of their lives. 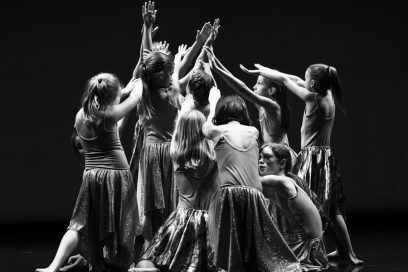 Develops each child’s own voice – dancers are encouraged to share their ideas, voice their opinion, and develop their own thoughts on what they do. Positive reinforcement allows the teacher build confidence in each student so that they know that they have a unique and special voice; so that they know they have a view of the world that is valued and important. Promotes hard work and dedication – dancers learn to commit to something they do, to work hard and follow through until a creative problem is solved. Dancers learn over time that hard work and follow through in class leads to wonderful creative products and that their skills grow, develop, and increase with hard work. Are you a fan of creative movement? Want to help spread the word about why creative movement is so great? Download the 8.5″x11″ poster here! Print it out and post it at your dance studio!